Midnight Rider is an Allman Brothers tribute honoring the remarkable talent and innovative abilities of the Allman Brothers Band. It is not about gimmicks and costumes. It is about the music; music that has inspired generations of fans through its boldness and creativity. The music is presented the way the Allman Brothers would have wanted it done. 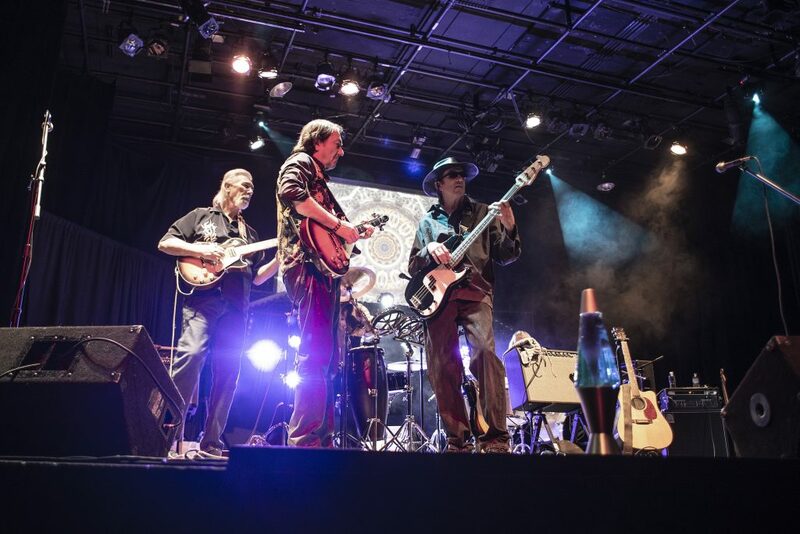 Midnight Rider is a Chicago based tribute band comprised of consummate professionals who have worked with everyone from Billy Preston to Willie Nelson and Ronny Montrose to Buddy Rich. They know how to entertain and give the audience the full Allman Brothers Band experience. Each Midnight Rider show is different and fresh. The story of the Allman Brothers Band began in 1969 and continued through their final shows at the Beacon Theater in 2014. The band was characterized by carefully constructed arrangements, the soaring dual guitar solos of Duane Allman & Dickey Betts, a thundering rhythm section, and Gregg’s vocals. The band was hit by tragedy early on with the loss of founding members, guitarist Duane Allman and bassist Berry Oakley in eerily similar motorcycle accidents. Personnel changed over the course of their 45-year career… but the heart & soul remained. Gregg Allman, Butch Trucks, and Jaimoe were always there. Sadly, both Butch and Gregg left us in 2017. The Brothers were first and foremost a live performance band, and the historic Live at the Fillmore is still considered one of the finest live rock albums ever released. Their live shows were legendary at times reaching marathon lengths. Midnight Rider carries on the tradition, the music, and the energy of this timeless band. The live shows are electric. The music is authentic. It truly fuses, Blues, R & B, Rock, Jazz, Soul, and Country into one cohesive sound often referred to as “Southern Rock”, but in reality defies the usual categories.